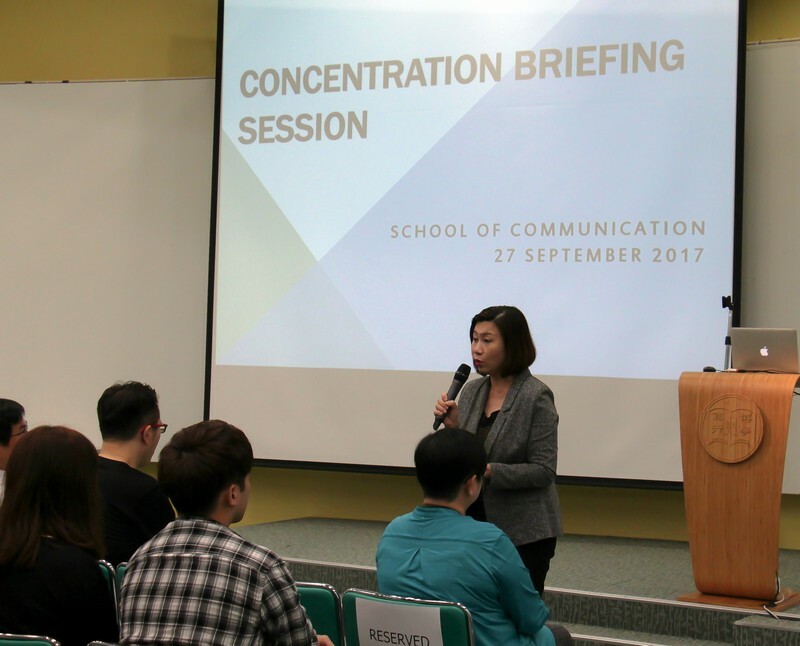 To facilitate students’ understanding of the two concentrations of Bachelor of Journalism and Communication (Honours) (BJC), namely Business Journalism and Corporate Communication, the School of Communication invited BJC Year 2 students to attend a Concentration Briefing Session. Dean Scarlet Tso advised students to choose concentration after considering their future career path. 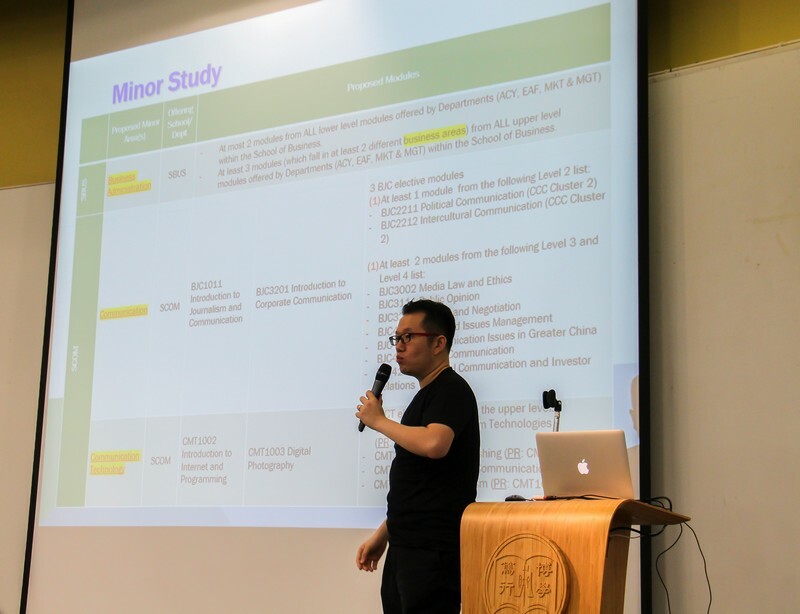 Associate Dean James Chang encouraged students to study more modules offered by BJC Programme as their free electives in a bid to improve their professional skills. 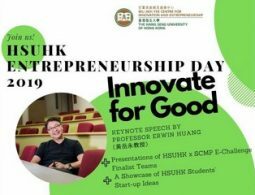 During the briefing session, students paid attention to the introduction of the programme content, internship opportunities and career prospects of Business Journalism and Corporate Communication delivered by Dr Chan Chi Kit and Dr Meily Cheung respectively. 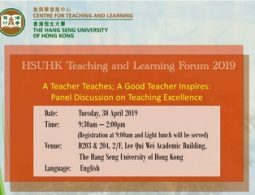 Associate Dean James Chang introduced the programme features. 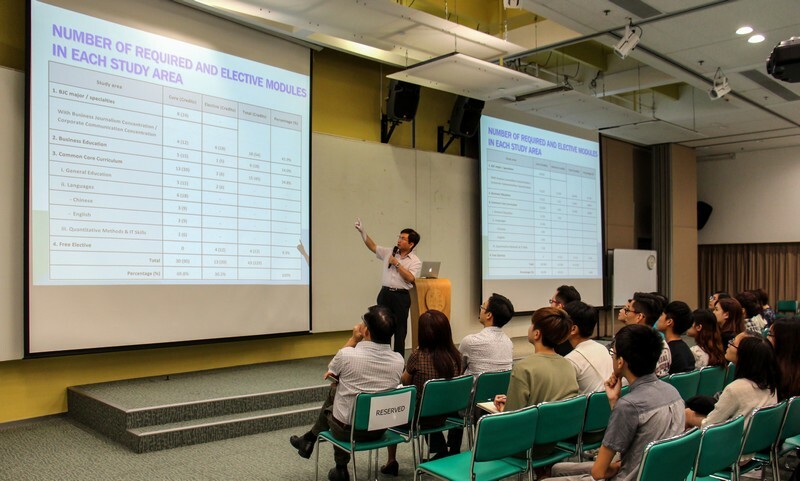 Dr Chan Chi Kit introduced the programme content of Business Journalism. 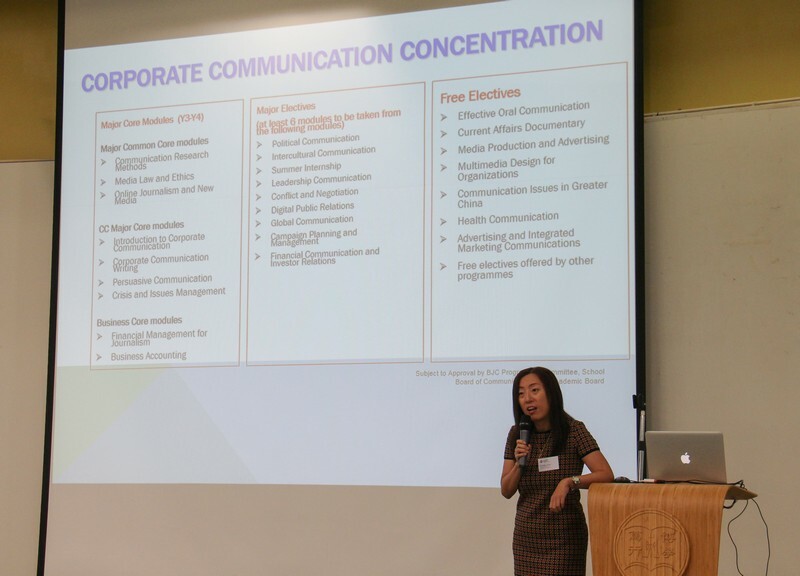 Dr Meily Cheung introduced the career prospects of Corporate Communication.